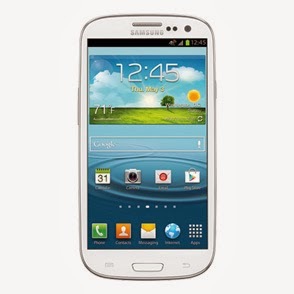 The AT&T version of Samsung Galaxy S3 (SGH-I747) has just received a new software update based on Android 4.1.2 Jelly Bean. The new software update is now available as an Over-The-Air (OTA) update. Samsung Galaxy S3 (AT&T) SGH-I747 users who have already updated their devices with Android 4.1.2 Jelly Bean, may root their devices using the tutorial below. 5. The CF-Auto-Root file works only on Samsung Galaxy S3 (AT&T) SGH-I747. Applying this to any incorrect variant might brick the device. Verify the model number of the Galaxy S3 by navigating to Settings >> About Phone. Samsung Galaxy S3 (AT&T) SGH-I747 running on Android 4.1.2 Jelly Bean firmware is now rooted successfully. You can now install any app that requires root permission. Verify the root status of the device by downloading Root Checker app from Google Play Store. 1 Respones to "Root Galaxy S3 (AT&T) SGH-I747 on Android 4.1.2 Jelly Bean Firmware"
Jobs in Pakistan updated daily with latest public, private and Govt jobs it is Pakistan Jobs hub for fresh graduates, professionals and skilled people seo analyst jobs.